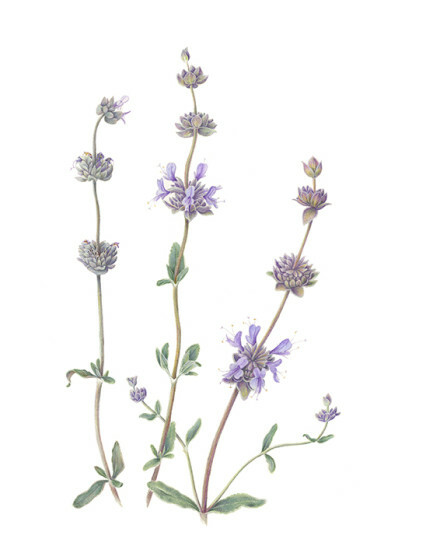 The Northern California Society of Botanical Artists is delighted to be collaborating with the Garden Conservancy to create a florilegium, a series of botanical paintings, documenting the plants of The Gardens of Alcatraz. The initial exhibition of Alcatraz Florilegium images was held in the Alcatraz Prison Band Rehearsal Room, September 1 – January 31, 2014 and was open open to all island visitors. Visit the NCalSBA web page for more information on this exciting project and for other future venues.